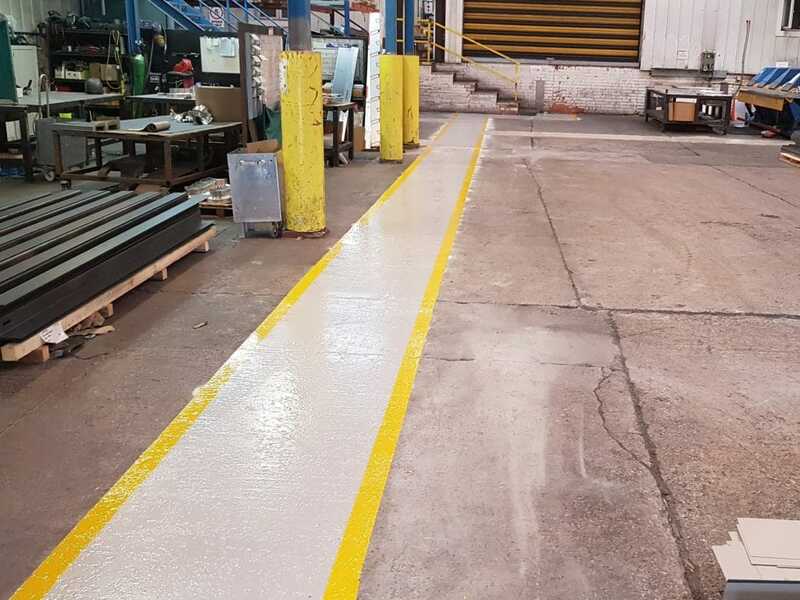 DM Miller, Manchester – a warehouse required concrete repairs and a tough coloured, coating with line-marking. 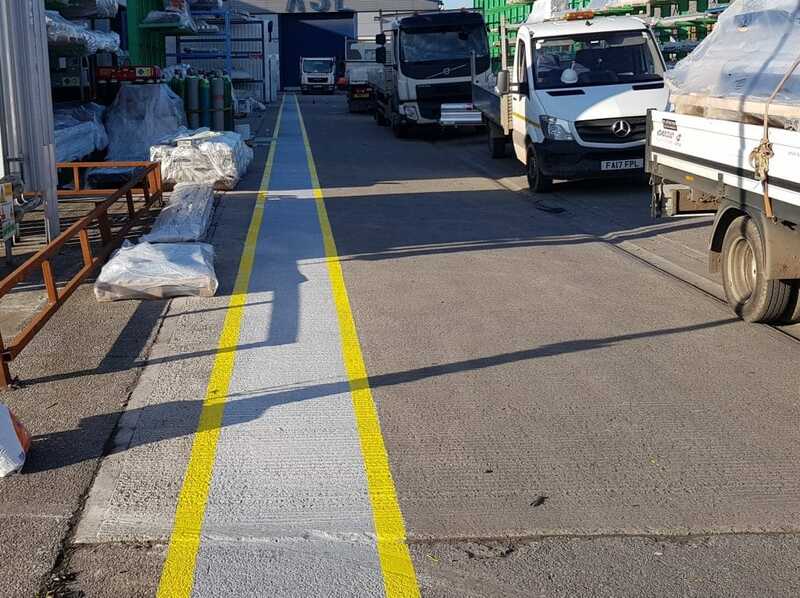 click on image JD Sports, Rochdale – Line-marking in high-build epoxy resin coating. 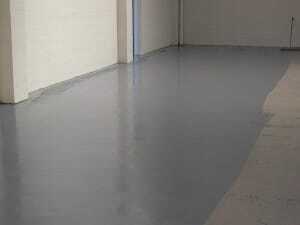 Oxenton, Tewksbury – a warehouse needed a hard-wearing replenishing coating. 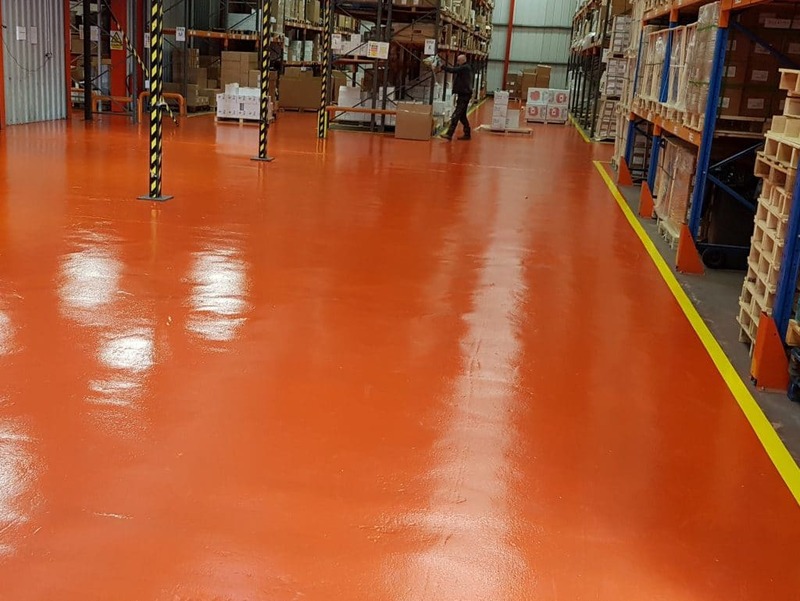 Unit 14, Birchwood – a power-floated floor required a coloured coating with aisles and line-marking. click on image Architectural Steel, Trafford Park. 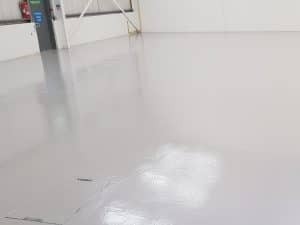 – an exterior aisle needed to be created. 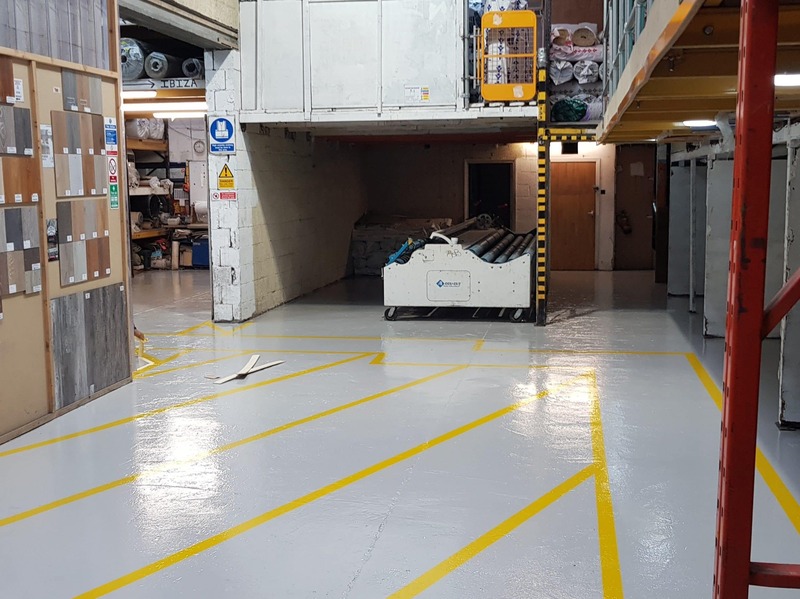 Unit 23, Piccadilly Trading Estate – a power-floated floor required a durable, coloured coating. 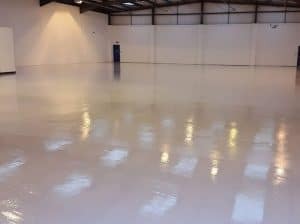 click on image Architectural Steel, Trafford Park. 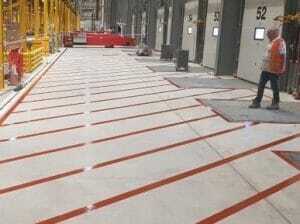 – interior aisles needed to be created.